"I have competed in 8 Figure competitions and have tried a variety of tanning products. sunTANon is by far the best and meant that tanning one less thing that I had to worry about. I have no hesitation in recommending sunTANon to competitors or anyone wanting a nice tan. 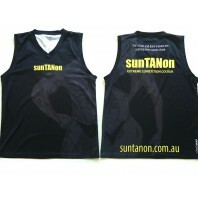 sunTANon is definitely my product of choice for all my future competitions." "I used this on the weekend at the IFBB Qld's and not only was it awesome and easy to put on, but it looked AMAZING!!! I loved it." "I just wanted to write to you and let you know how fantastic I think sunTANon is! This is my first season of competing and for all my 3 competitions I used sunTANon and could not be happier with my tan. I received so many compliments about my tan, everbody wants to know what it is. It gives me the perfect stage tan and defines my definition amazingly. I will keep on using your product and promoting it, as i think it's the best! I have include some photo's of my competitions so you can see how awesome it looks and how it compares to my other competitors competition tans. Thanks again. " "Also a big thank you Wayne Wilson. My colour from sunTANon was great, best ever! People been asking me about my tan that is 3 coats of sunTANon Extreme Competition Colour, then on day I will put on the SuperTan to complete it. If you're after a great winning tan - I highly recommend. I have used them all this best by far. " "You are the man and I'm in looooove with...... YOUR.... TAN haha it's perfect!!!! Not one drama applying - you've converted me. Once you use Wayne's tan there never any pain. " "I used sunTANon Extreme Competition Colour and sunTANon Top Coat for the first time for 3 back to back competitions. I got so many compliments about my tan and I am so impressed by the quality of these products. Unlike past experiences where my tan would get patchy in between competitions sunTANon was long lasting and my colour was perfect for each competition. What I love about sunTANon is that it is easy to apply, fast drying and doesn't streak, smudge or rub off. 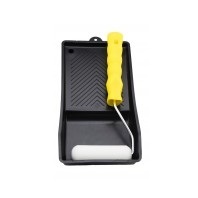 Plus it is great value for money - 1 bottle lasted me 3 competitions." 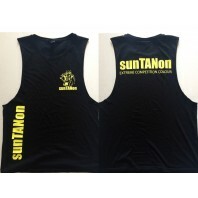 "sunTANon has been used by Ultimate Performance Supplements athletes since 2009. This nice smelling, non staining, easy to apply product will compliment your hard earned physique. If you are a figure competitior, model or bodybuilder, be sure to look your best under any spot light! Great work sunTANon and thank you from the UPS team!" "" I absolutely love sunTANon Extreme Competition colour and I use it for all of my shows as well as all year round. It always leaves my skin looking perfectly tanned, without any marks and is a great chocolate colour. I used sunTANon when I won NABBA Queensland Championships on the Gold Coast and I will be using it for my next shows in the USA!"" "I'm recommending it to everyone that gets contest advice from me. 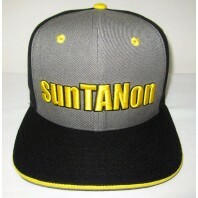 Winning a Universe adds a bit of weight to your opinon and I confidently and proudly endorse sunTANon. And I'd also like to thank you Wayne for introducing me to the roller. I'm done in about 5 minutes and without the acetone smell in a confined space, my brain cells are very grateful to you. 5 coats and I'm ready to party!" "I have probably bought a dozen bottles of sunTANon in the past few months. I have used it on myself for the last couple of shows and given it to clients for them to apply in their comps. It is outstanding. I don't normally write endorsements but there is no way I am going back to what I was using for comps before I found this product...."
"Ange's colour looked fantastic! Well done sunTANon very impressive."